Walkability Score = 100! 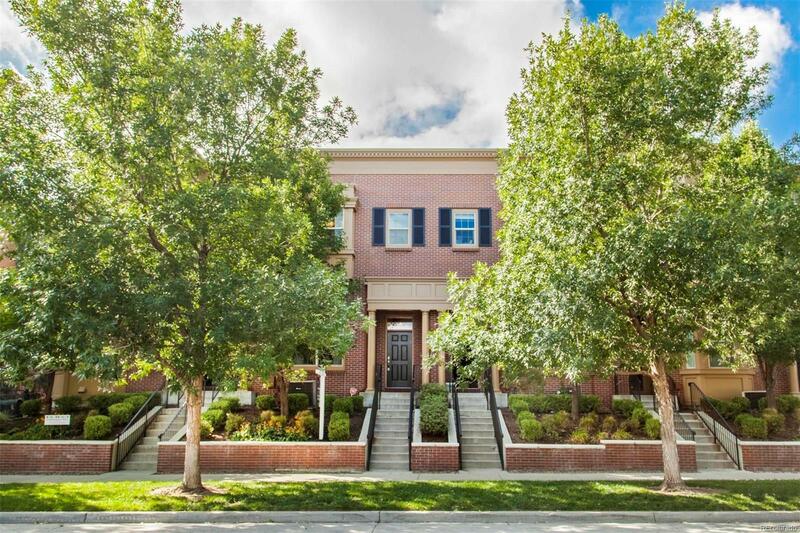 This beautifully designed and decorated Row Home with 1647 square feet in the heart of Stapleton has it all. From 3 bedrooms upstairs to the 2-car attached garage and from the master suite with a master bathroom/walk in closet to the outdoor patio space, this home is a wonderful value in the neighborhood. Mere blocks to the Aviator neighborhood pool, the Founderâs Green where there are concerts/plays and a farmerâs markets during the summer, Punch Bowl Social in the old airport control tower, the original Stapleton Town Center with restaurants and retail, as well as walking distance to multiple neighborhood schools. This home really is move-in ready!